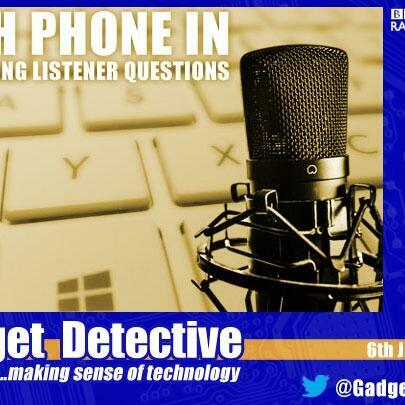 From smartphones & tablets, to dealing with malware & protecting your privacy, the Gadget Detective, Fevzi Turkalp, joins Dotun Adebayo to bring you all the tech advice you need to choose the best tech for your needs & keep your existing gadgets running smoothly. Plus news on some vibrating clothing that helps with navigating. ○ Choosing a suitable hard drive for making back-ups ○ When you should consider replacing a computer’s hard drive ○ Messaging apps and the privacy considerations of using them ○ Cancelling a mobile phone contract ○ Free, compatible, alternatives to using Microsoft Office ○ How to stop Windows 10 from entering sleep mode ○ How to help children stay safe online ○ Upgrading a gaming PC ○ Choosing a suitable indoor TV antennas ○ Deleting photos from an iPhone ○ Laptop or tablet, which is best for a beginner?